Our office chat software serves as the perfect place for every conversation, and brings sanity in the way you and your teams communicate within office or with clients. 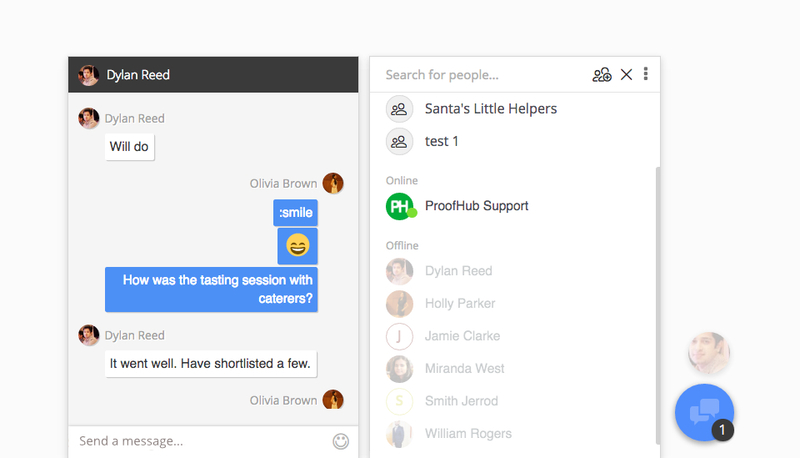 With ProofHub you get an instant office chat software that brings all your communications together; you don’t have to rely on a separate tool for communicating within teams, or clients and stakeholders. 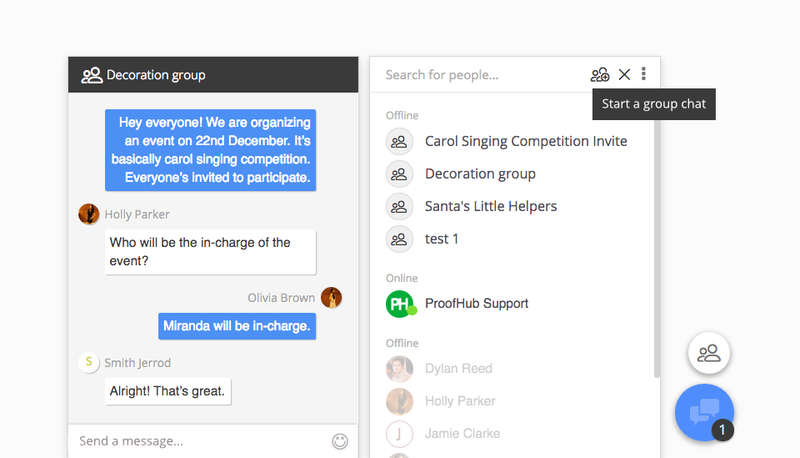 ProofHub’s office chat software allows team members to have one-on-one chat. So, they can have quick office conversations, and get more done without wasting too much time in visiting each other’s desk. Group chat feature in ProofHub allows teams to have quick discussions, ask questions, find answers and share updates about the project. So, they don’t need to draft emails or ping everyone individually for all this. Emojis in ProofHub’s office chat software make office communication lot more fun. You can add emojis to your chat to making instant messaging for office more expressive, and convey thoughts in a better way. Want to bring all your office communications under one roof? ProofHub’s office chat software is just the solution you are looking for. ProofHub’s online chat software provides a proven process for management of offshore development projects, that significantly improves the chances that the projects will be completed within deadlines.